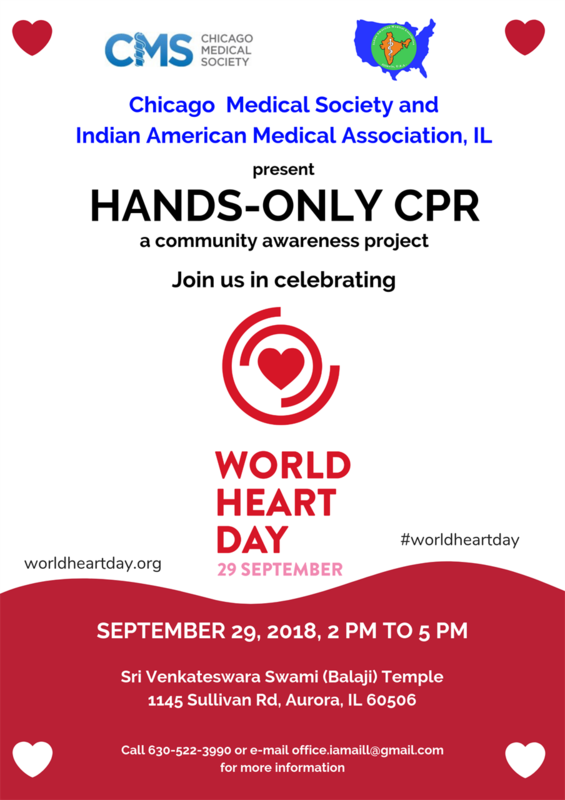 We are in needed of volunteers to assist in the demonstration of Hands-Only CPR, this is a great activity for medical students to participate in. Please arrive by 1:30 pm to assist with setup and training, also please plan to stay till 5:15 pm to help with clean up. If you have any questions please contact Heidi in the IAMA-IL Office.